Sales will fly off your store shelves with our Little Birdies Paper Shopper! These bags feature a white paper shopper with vibrant colorful birds. 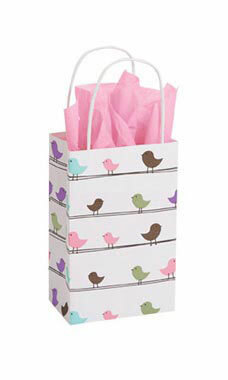 The Little Birdies Paper Shopper is sold exclusively at Store Supply Warehouse. Sold in cases of 25.